Struggling to get my printer working since I made a system swap. The printer was connected to a ZorinOS (Ubuntu) system via USB. Another ZorinOS system and my LMDE system were printing on that printer without any problem. Due to a system change (1 ZorinOS will go) I connected the printer via USB to my LMDE system and it worked just like that. Now I'm trying to connect the ZorinOS systems to the printer but I can't get it to work. On both systems the printer shows up as a network printer and are installed, however trying to see the printer properties freeze the printer application. Trying to print something from the Zorin systems won't work, from my LMDE system no problems at all. So I'm stuck, Samba does see my system but not the printer. Right click the printer in LMDE I do see shared and enabled but when I look into the printer properties the tick box shared is empty, when you tick the box and try to save it empty itself again. I'm struggling for hours already and can't find what's going on so I need your help desperatly. More info before anyone can even guess! The devil's in the details! Start with make/model of printer, give exact versions of all OSs, maybe try to retrieve logs from the failed attempts. You could try things like disabling firewalls, you could reboot your router. But nobody is going to make even an educated guess based on what little info you have provided. Just close this topic since I just found out LMDE 2 Mate will no longer be supported from 1-1-2019 and upgrading to LMDE 3 is only possible for Cinnamon. 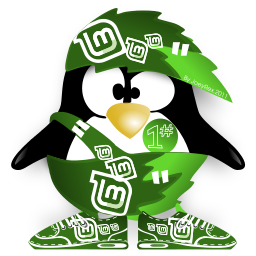 Back to Linux Mint 19, bye bye LMDE. You need to install it.